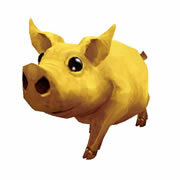 There are four new pets that can be earned through the RAF system. All of these pets were previously only available in Asian regions during special promotions. Now you can add them to your collection too! In order to redeem these pets, you will need to recruit four friends. Only accounts created after November 12, 2013 will be eligible for RAF. After your recruit purchases the starter game, they will have the option to purchase more game time. If they buy two months of game time, you will receive one month of free game time for your main account as well as the option to pick one pet or mount. You can read more about the Recruit-A-Friend process here.